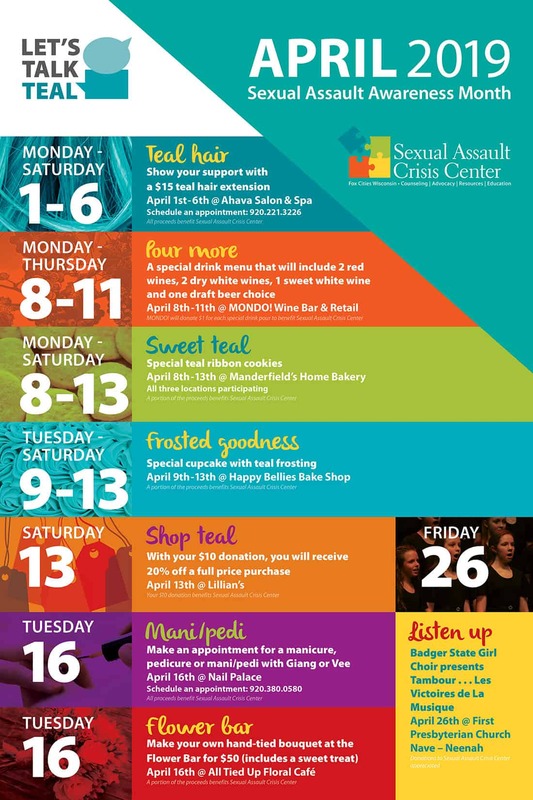 Let’s Talk Teal is our campaign for Sexual Assault Awareness Month in April. We are partnering with local businesses to raise awareness about sexual violence in our community and how YOU can help end it. Show your support by visiting the businesses, and sharing the Facebook posts and the list of activities with others. Visit facebook.com/saccfoxities. Thank you for participating in Let’s Talk Teal and learning more about the services and programs offered by the Sexual Assault Crisis Center to victim survivors in our community.